A charitable project to support and promote wildlife and heritage conservation, as well as the relief of suffering resulting from illness or deprivation. A major means of achieving these objectives is through the making of grants to selected charities: either grants of money raised by selling books and other items, or grants of books which the charities may sell, keeping the proceeds of all sales. 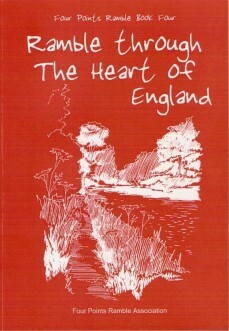 The books describe a ramble round England. The Association is a small group whose main function is to oversee the financial side of the project, in particular the channelling of books and funds to the beneficiary charities. They also help to encourage the walker & writer to keep going. Donations to the Association, other than payments for books, go into the General Fund, and may be put towards the printing costs of the next book in the series, or to top up payments to beneficiary charities. The profit margin from each book sold (in most cases the full purchase price) goes to the beneficiary charities for that book. The Four Points Ramble challenge is to walk to each of the four extremities of England (that is, the northernmost, southernmost, westernmost, and easternmost tips of the mainland), then return to the starting point. The Four Points Ramble is not a continuous, day-after-day exercise to be started and finished in one go; that would transform a journey that should be enjoyed into one to be endured. Neither is it creating a new Trail or Way; if others wish to undertake the challenge, the suggestion would be to walk the Four Points by whatever route seems best at the time. Part of this project is to write books which describe the walk but with digressions related to incidents on the walk or with local connections. The digressions reflect interests in wildlife, history, literature, music, biography, industrial archaeology (in particular, canals and railways in the age of steam), genealogy, heraldry, church history, topography and story-telling. The books are sold mainly through, and wholly on behalf of, local charities. Each charity keeps the full price of any books bought directly from that charity. The purchase price of books that are sold through the Four Points Ramble Association is divided between the beneficiary charities. Grant making progress As of December 2018, grants totalling £9,290.39 have been made to over 40 beneficiary charities from central sales, mainly of books, but also of other items such as home-made chutney. In excess of £1450 has additionally been raised for six of those charities through music concerts, and a further £1000 (including Gift Aid) was raised for Macmillan Cancer Support by three Association members doing a sponsored walk on the Macmillan Way as part of the route of Book 5. Walking progress. As of December 2018 the furthest point south reached is Exford in Somerset. This represents 934 miles on a continuous route from Lindisfarne in Northumberland. Writing/publication progress. Book 1 was published in May 2007; Book 2 in March 2008; Book 3 in November 2008; Book 4 in November 2009; Book 24 in September 2010, Book 5 in November 2011, Book 6 in December 2012, Book 23 in November 2013, Book 7 in October 2014, Book 30 in November 2015, and Book 22 in November 2018. 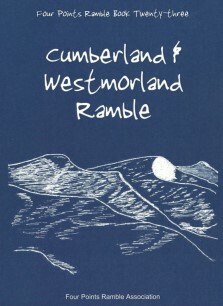 All books except Book 30 can be purchased for £7.99 post free from the Association by writing to the Four Points Ramble address above; Book Thirty costs £10. 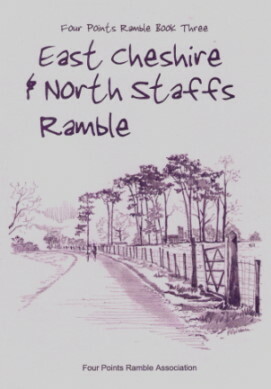 Cheques payable to the Four Points Ramble Association. Book 8 The Two Moors Ramble is in preparation. Book One is a diary of the first 54 miles of the walk (from Gargrave to Hollingworth Lake, via Skipton, Keighley, Haworth, Hebden Bridge, and Todmorden). It follows the towpaths of the Leeds & Liverpool Canal and the Rochdale Canal, as well as sections of the Pennine Way, the Worth Way, the Brontë Way and the Calderdale Way. 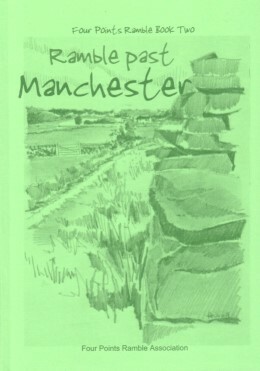 Book Two covers a 37-mile journey through the Pennine foothills and valleys east of Manchester, starting at Rakewood, passing through Delph, Diggle, Uppermill, Mossley, Stalybridge, Woodley, Romiley and Marple, and finishing at the Bowstones, high above Lyme Park. Trails and paths followed include the towpaths of the Huddersfield Narrow and Peak Forest canals, as well as the Rochdale Way, the Oldham Way, the Crompton Circuit, the Tameside Trail, the Cown Edge Way, the Goyt & Etheridge Valley Way, the Trans-Pennine Trail, and the beginning of the Gritstone Trail. Book three covers a 60-mile section of the journey south, taking in the East Cheshire and North Staffordshire hills and valleys, followed by the urban landscape of the Potteries. It begins above Lyme Park, near Disley, passes through Macclesfield, Leek, Burslem, Hanley and Stoke, and ends by the canal in Stone. Trails and paths followed include the Gritstone Trail, the Staffordshire Way, and the towpaths of the Macclesfield, Caldon, and Trent & Mersey Canals. Book Four covers a hundred-mile section of the journey south, starting in Staffordshire and entering four more counties (Derbyshire, Leicestershire, Warwickshire, and Northants) as the route swings through the very centre of England. It begins in Stone, passes through Stafford, Lichfield, Moira, Measham, Stoke Golding, Bedworth and Rugby, and ends, also canalside, in Braunston, Northants. Trails and paths followed include the Heart of England Way, and the towpaths of eight different canals. 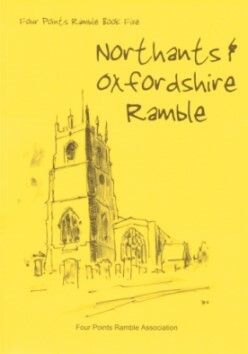 The route covered by this book begins in Braunston, Northants, and first runs east through Welton and Long Buckby to Great Brington, before following the Macmillan Way south-westwards for 37 miles via Farthingstone, Chipping Warden, Claydon, Warmington and Shenington to Traitor's Ford. It then proceeds south via Hook Norton, Great Tew, Steeple Aston, Woodstock, Church Hanborough and Eynsham and finishes in Wolvercote near Oxford. 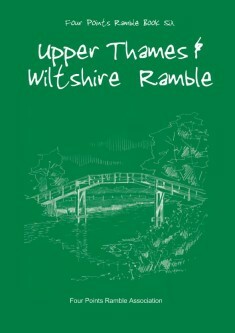 The route covered by this book begins in Wolvercote near Oxford, and runs through Oxford City, down the River Thames to Sandford, then south via Nuneham Courtenay, Clifton Hampden and Long Wittenham to Didcot; north again via Culham to Abingdon, then west via Marcham and Kingston Bagpuize to the Thames at Duxford, along the Thames via Bampton to Buscot; then south via Coxwell to Ashbury, along the Ridgeway to Chisledon, south via Marlborough to Pewsey; west again along the Kennet & Avon Canal, then along Wansdyke, to Devizes; then via Lacock and Melksham to finish at Bradford-on-Avon. 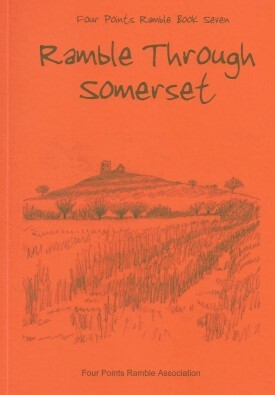 The route covered by this book begins in Bradford-on-Avon, and follows the Macmillan Way into Somerset, via Beckington, Nunney, Stourhead, Bruton, Castle Cary, Langport, Aller, Burrowbridge and Moorland. It then leaves the Macmillan way, following the Bridgwater & Taunton canal to Taunton before crossing the Quantocks to Nether Stowey, then recrossing the Quantocks to Bicknoller, Williton, Watchet, Washford, Dunster, Minehead and Porlock, finishing at Culbone. 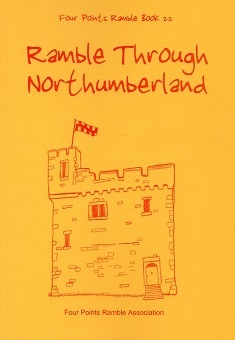 The route covered by this book begins on the island of Lindisfarne, and follows the coast through Berwick to the Northernmost Point in England, before turning south again and up the rivers Tweed and Till towards Crookham and Wooler, then via Whittingham, Rothbury, Wallington Hall, Bellingham, Wark and Haltwhisle to finish at Alston in Cumberland. Trails and paths followed include sections of St Cuthbert's Way, St Oswald's Way, the River Tyne Trail, the Pennine Way, the Hadrian's Wall Path, and the South Tyne Trail. The book is sold in aid of local charities. Book 23 begins in Alston in the North Pennines and takes a route through Penrith, past Ullswater to Patterdale, over the ridge to Thirlmere, then via the Vale of St John to Keswick. From Keswick it goes over Catbells and High Spy to Honister, then via Moses' Trod and Aaron Slack to Esk Hause, before descending to Langdale. From there it climbs Swirl How, then skirts Lake Coniston, crosses Windermere, passes Staveley and Kendal, and finishes in Arnside by Morecambe Bay, the starting-point of Book 24. Trails and paths followed include short sections of the Cumbria Way, the Dales Way, and the Limestone Link. 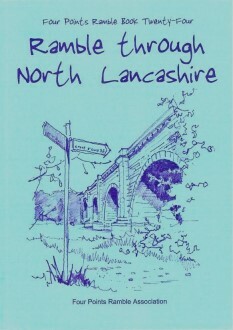 Book 24 begins in Arnside by Morecambe Bay, and takes a route through Carnforth and Lancaster before climbing into the hills of the Forest of Bowland. It then descends to Chipping and Whalley before traversing Pendle. 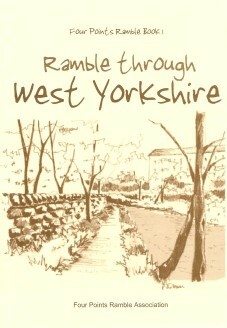 From Barrowford, it proceeds north-eastwards to Gargrave and the starting-point of Book One. Trails and paths followed include the towpaths of the Lancaster and the Leeds & Liverpool canals, as well as the Wyre Way, the Pendle Way, and the Pennine Way. The Four Points Ramble Association is very grateful to the Co-operative Bank for a grant of £500 towards the printing costs of this book from their Community Directplus Customer Donation Fund. 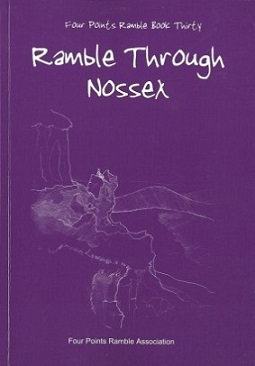 Book 30 recounts a turning aside from onward progress in the journey southwards, and an exploration of the curious and little-known county of Nossex. The gradual discovery of the peculiar culture of this most secret of counties, partly through interaction with the contemporary inhabitants, and partly through hearing the Twelve Tales of Nossex, gives opportunities to reflect on the nature of Christian community. This book is sold in aid of a number of different Christian charities.